Want to really connect with an audience and capture their attention? Let the Vocalist® Live 3 triple your voice with warm, natural-sounding harmonies. The Live 3 automatically follows your vocals and chord progression using patented musIQ® technology so you don’t have to program a song’s key or key changes. 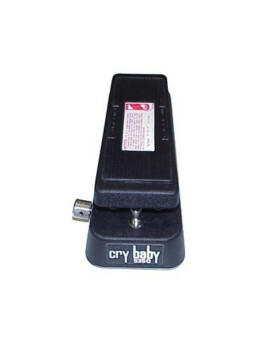 Just step on the footswitch while you’re playing to fill the room with pitch-perfect backup vocals. You can even have the harmonies sound male or female, and increase their human factor for an organic, realistic sound. The Live 3 also keeps your song right on target with built-in pitch correction and a variety of useful and intuitive effects like warmth, compression, a noise gate and a two-band EQ. Add in reverb, delay, and a built-in tuner, and you’ve got an indispensable tool that will have you turning heads and inspiring applause like never before. musIQ is a revolutionary technology that eliminates the need program a song’s key or changes to create accurate harmonies. musIQ analyzes your lead vocals as well as the chords and notes played on a guitar in real-time to automatically generate perfect vocal harmonies. Simply plug into the Live 3, play your guitar and sing. The musIQ technology will ensure the harmonies are always right on. A surprising number of songs fool other harmonizers because these songs just don’t work with a single key/scale setting. In fact, any song that has the same note sung over two different chords (for example, a C sung in the melody over a C maj / F maj chord sequence) is going to confound conventional harmonizers. 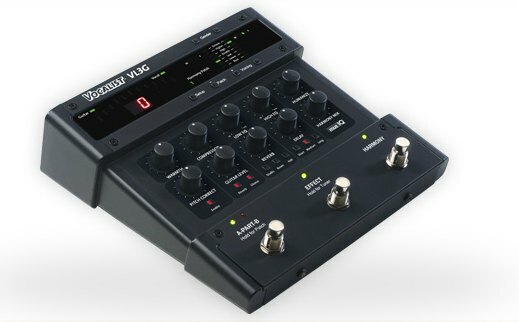 Vocalist Live uses breakthrough musIQ™ technology to directly analyze the output of any electric or pre-amplified acoustic guitar (no special MIDI guitars or hex-outputs needed). Then it generates the correct vocal harmony. For example, if you’re singing an A over the chords that are generally found in the key of G, Vocalist will harmonize with a C. But, if you then play an A major, Vocalist will shift to the C#…because like any good harmony singer, it listens to the guitar! With musIQ, forget about the technology – just sing and play! Skip complicated programming and having to analyze each song chord-by-chord; just… 1. Plug in your microphone and guitar; 2. Pick a 3rd or 5th-above or below harmony preset; 3. Sing and play – when you want harmony, just step on the footswitch! Patent-pending musIQ™ technology combines new Note Detection algorithms with state-of-the-art Harmony Generation. The Note Detection section analyzes complex guitar waveforms and determines which notes in each chord are critical to accurate harmony. This information is then fed to an advanced harmony engine that creates harmonies consistent with both the singer’s melody and the underlying guitar accompaniment. This totally new, musically-intelligent hybrid of traditional chordal and scalic harmony modes means that Vocalist Live musIQ harmonies stay true to not only the overall key and song scale, but also localized variations due to chords that aren’t part of the global key. You’ve never heard anything like it!musIQ™ is a trademark of 3dB Research Ltd.
2 voices of fully automatic harmony added to your voice for 3-part harmony. Just play naturally on your guitar and musIQ® technology will ensure that the harmony voices are always musically correct. Gender controls for each harmony voice allow you to alter the character of the harmony voices. Humanize control to adjust the style of the harmony voices from loose to tight. Five Harmony Patches to save harmony settings, each with an A part and a B part to make on-stage harmony changes easy. EQ, Low Cut and Noise Gate. 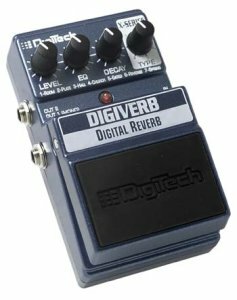 Reverb with three different room sizes. Delay with five delay settings. 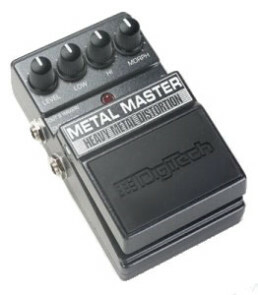 Ability to mix the guitar and vocal signals to provide the acoustic guitar player with an easy way to connect straight to the PA or a powered speaker. Guitar Ground Lift to eliminate any noise hum issues that may arise. Balanced Line Input for post processing recording applications.